Shirdi in Ahmednagar District is the home to Spiritual guru Shri Sai Baba. It is approximately 300 km from Mumbai. 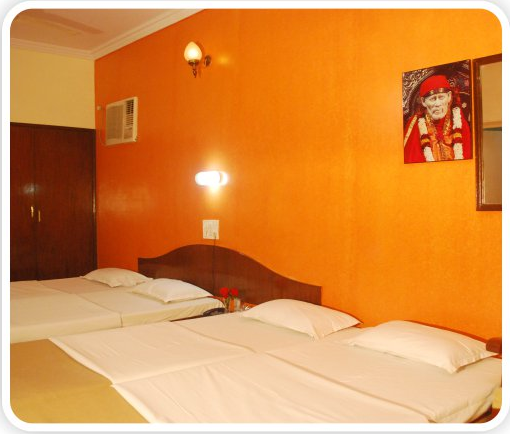 For devotees who flock to Shirdi, there are many options for accommodations. The city has seen many hotels and lodges springing up in recent times. Such is the rush of devotees to this city that there is hardly any chance of finding any rooms near Shirdi temple. 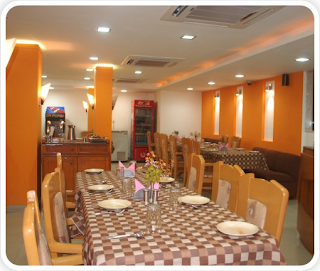 Our Hotel "Sai Sahavas" is just five minute walk from the temple. The amenities which we provide include spacious and luxurious rooms/suites, 24 hours running hot/cold water, Inter-com with direct dialing from rooms, in-House laundry, Multi-Cuisine Vegetarian AC Restaurant, Children's play area, Power back-up, Capsule lift & air-conditioned meditation hall. Majority of the devotees, who visits Shirdi, also visit "Shani Dev Temple" which is approximately 75 Kms from the temple. Other major attractions apart from the temple are Trimbakeshwar, Saptashrungi and Aurangabad (Ajanta and Ellora) Caves. The other different and unique feature of our hotel is that we have a replica of Shri Sai Baba on the third floor. Devotees can meditate and you can feel the comfortable presence of Sai Baba. For devotees who wish to travel by rail, the nearest railway station is Sai Nagar Shirdi. There are also buses that ply continuously to Shirdi from Ahmednagar and Mumbai. The nearest airport is Aurangabad, Nashik and Pune. Online booking Shirdi Hotel rooms are the best way to book your accommodation in advance as you get the accommodation near to the temple.